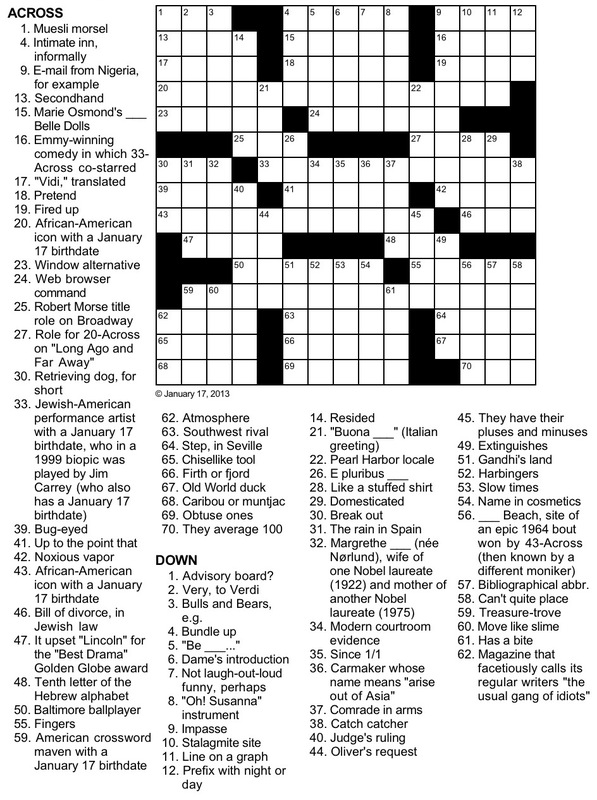 As you will learn from this "mid-week level" puzzle, 59-Across (photo to the right) shares a birthday with several American celebrities. After completing the puzzle (spoiler), you may read more about its honoree by clicking here. More puzzles here (all) and here (tributes).